Chris Hein – Solo Violin EXtended outshines all previous violin libraries. 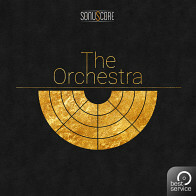 Never before, a sample library of this extent has been dedicated towards a single string instrument: Recorded with greatest care and endless details, precisely edited and merged into a practical and musical instrument for NI's Kontakt Player offering an elaborated custom-tailored user-interface with comprehensive scripting. 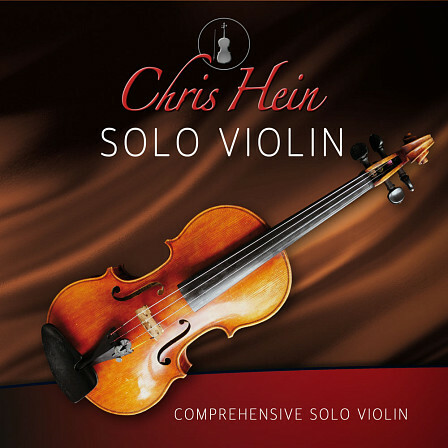 Chris Hein – Solo Violin EXtended features high-grade sound quality and incredible realistic articulations. 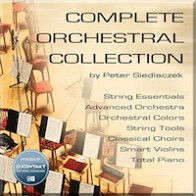 This library offers everything you have been missing with previous virtual string instruments. This library benefits from producer Chris Hein's 30 years spanning experience in the field of sampling and library production, resulting in a product offering highest versatility, configurability and practical use. Solo Violin ImageChris Hein - Solo Violin is a bundle of four fantastic sounding Solo Violin Instruments. 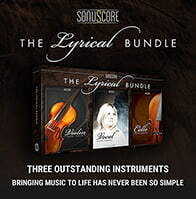 The four instruments in CH-Solo Violin have been recorded with great care and detail and handpicked instruments, all with a unique sound and played by professional studio musicians. Their virtual counterparts have been further optimized for playability and performance (EX instruments), thus saving your computer resources and still granting you access to all required articulations for authentic performances. Chris Hein – Solo Violin EXtended delivers outstanding, detailed and highly expressive results as a solo instrument or as part of an ensemble – in all relevant genres ranging from classical music and film scores to gypsy-jazz, folk and pop ballads. And there is even more: Chris Hein – Solo Violin EXtended provides sound-designers, composers of film- and game soundtracks and experimental musicians with special effect-sounds and uncommon articulations with partly exceptional dynamics, such as flautando, flageolets and ponticello. Therefore, the pitch range of the virtual instrument has been expanded in comparison to the original violin. The special effect sounds are further supported by the internal tenfold DSP-effects-rack. Feel free to create complex sound clusters, dense atmospheres and surreal sound worlds out of a single violin for incredible moments of suspense. By using the Ensemble Maker, the solo instrument can easily be turned into an ensemble being able to take advantage of all available articulations. Or you use the Multis with enembles created by Chris Hein with pre-set stereo image and fine detuning for an intense ensemble effect. 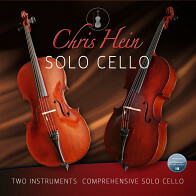 Chris Hein – Solo Violin EXtended equally serves demanding string instrument enthusiasts as well as composers needing more than just excellent sounding samples but also comprehensive details, a full offering of articulations and a versatile adaptation to their preferred workflow. 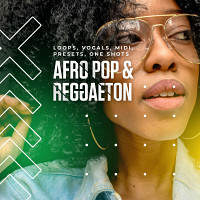 On one hand, the instrument offers a comprehensive full sample set with all articulations being ready to play on the keyboard. Thanks to the library's modular approach on the other hand, significantly reduced variations may also be called up with fast load times and low memory requirements. Chris Hein – Solo Violin EXtended reproduces the sound of internationally renowned violinist Naomi Binder and her excellent instrument. Thanks to her incredible hearing and unprecedented precision, paired with artistic discipline and routine, it was possible to accurately capture the violin across its full pitch range (up to F6) in all its dynamic facets from most gentle to loudest tones. As with all his productions, Chris Hein decided for a close mic'ing in a dry recording environment. Combined with the twin impulse response based reverberation sections, the intentional dry sound of the library allows adapting and fitting the instrument perfectly into variable contexts. Dedicated convolution engines for the instrument's body and the room itself allow creation of a nearly arbitrary acoustic environments ranging from intimate closeness to large concert halls. 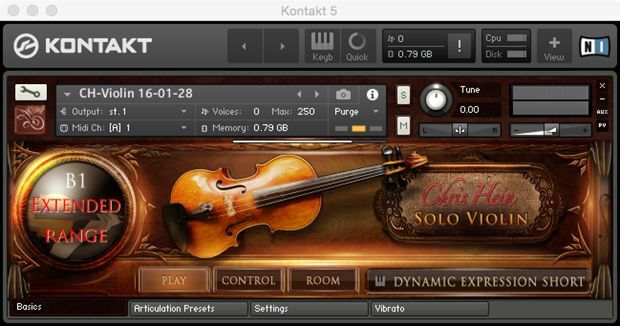 In difference to the fixed acoustics of several competitive products, Chris Hein – Solo Violin EXtended is sonically exceptionally variable and additionally easy to combine with almost any other library being offered. The combination of long and short notes is a major problem in sample-libraries that often fail to deliver authentic sounding results. With real musical instruments, the note length often influences the attack behavior as well as the note end. Chris Hein – Solo Violin EXtended addresses these aspects by its "Note Head Designer" which has been significantly expanded for this library. It offers a selection of 102 attack shapes. 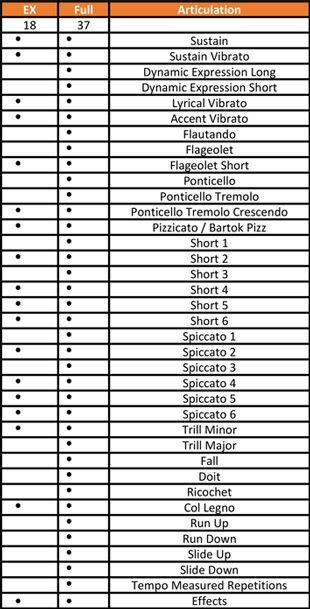 This allows calling up twelve matching short sample variations (Shorts) along with each sustain-articulation. These shorts not only offer the corresponding correct attack-behavior but also a note-end that perfectly matches the note length. 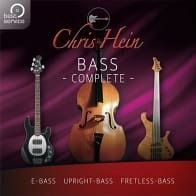 Chris Hein – Solo Violin EXtended offers true legato in up to four dynamic layers for short and long note variations. The corresponding in-depth recordings and edits result in unexpected realistic sounds with perfect note-transitions. At the same time, it is possible to combine these realistic combinations with additional artificial inserted legatos. The performance-data of Chris Hein – Solo Violin EXtended directly reflect the immense investment in recordings and configuration possibilities. The 2 full instruments are build upon 22,000 single samples, up to 38 articulations and up to eight dynamic layers. The EXtended version adds 2 more EX instruments with a total of 12,000 additional samples. 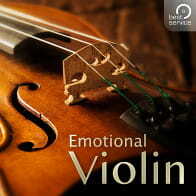 This makes the library one the most in-depth sampled violins currently available. 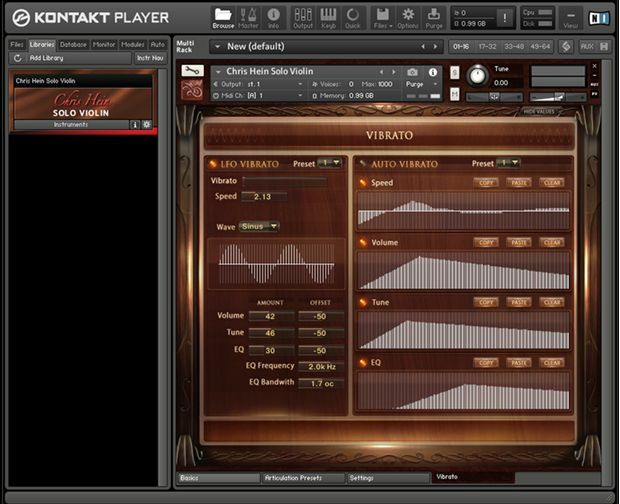 The custom-tailored user-interface of the Kontakt Player not only offers numerous functions to adapt the library's sound character and articulations but also provides immense configuration choices to live up to specific demands and workflows. At the same time, due to pre-programmed key-switch-presets at the lower part of the keyboard, the library can also be effectively played without any need for deep edits. Thanks to four "Dynamic Modes", the "Note-Head Designer", "Key-Vibrato", "Hot-Keys" and the revolutionary concept of articulation-presets, the user-interface will give you the impression to really play this instrument live. 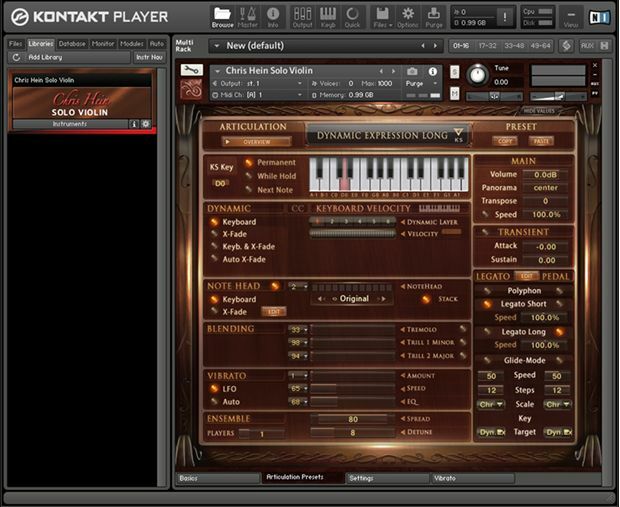 - Requires Kontakt Players 5.6.8 or newer. The Following End User License Agreement is included with Chris Hein Solo Violin EXtended. This License is only valid for the individual who has purchased an unopened, new and lawfully made copy of Chris Hein Solo Violin EXtended from a dealer or distributor authorized by Big Fish Audio.